Mike Mookung Kim has worked in various industries for more than 10 years. During that period, his works were related to international trading, business consulting and education industries. 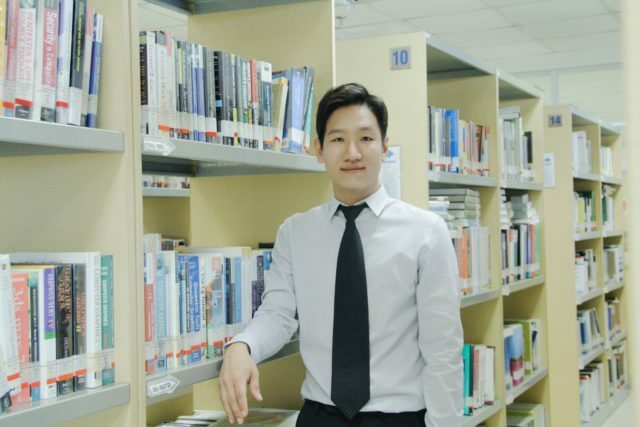 Before starting his academic career, he had practical working experiences as senior manager and head of finance in Hong Kong, Shanghai, and South Korea. He worked as consultant for Asian and US corporations since 2011. He gained professional knowledge and practical skills of finance and international management during his time in global consulting firm. In addition, he was part-time lecturer at Binus University International since 2017. 2008 Master of Business Administration, Yonsei University, Seoul, South Korea. 2006 Bachelor of Business Administration, Dankook University, Seoul, South Korea. Mookung, Kim. & Gatot, S. (2018), To Relocate or not to Relocate? A Case Study of Korean Garment Manufacturing Company in Indonesia. Franklin, G. & Mookung, Kim. (2018), Teaching Competency for Business Educators: A Framework for Quality Assessment within Higher Education Institutions in ASEAN. Hutagaol-Martowidjojo, Y., Mookung, Kim. (2019). Earnings Quality and IPO firms performance. Mookung, Kim. (2019). Foreign Banks’ Mode of Entry: A case study of Korean Bank penetration in Indonesia.